Asia’s 50 Best Bars returns to Singapore for the second consecutive year on 9 May 2019 to unveil winners in its fourth annual edition. 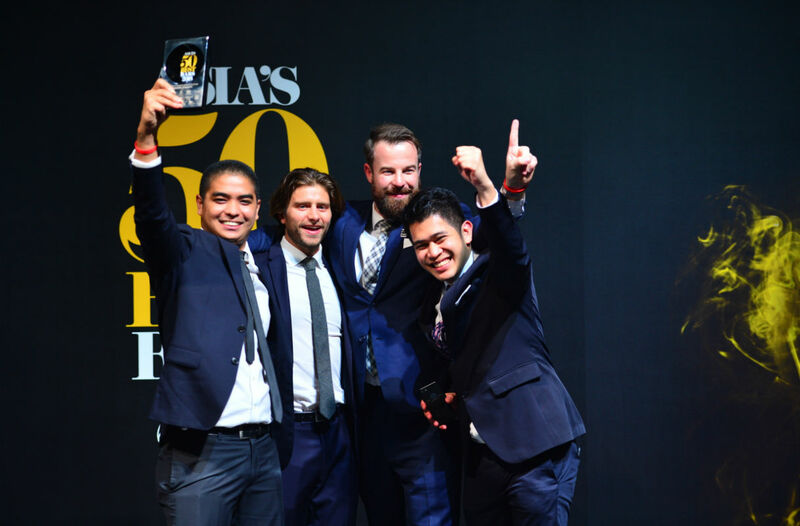 Last year the organisers of Asia’s 50 Best Bars – the same people behind World’s 50 Best Bars – hosted its 2018 edition in a first-ever awards ceremony in Singapore. That turned out to be a reconnaissance in force; mere months later they announced a three-year partnership with Singapore Tourism Board to host the awards here. So Asia’s 50 Best Bars will return to Singapore on 9 May 2019 to recognise the best bars across the region. Now Asia’s 50 Best Bars list was first introduced in 2016 as an extension of The World’s 50 Best Bars. The fact that the awards was held in Singapore last year was a testament to the burgeoning cocktail scene in Singapore. After all, in 2017 Singapore bars took 13 spots, while 12 received honours in the 2018 edition. “It is our honour to hold the awards ceremony here for a second year, and we look forward to paying tribute to the best bars in the region against the backdrop of Asia’s leading cocktail city,” says William Drew, Group Editor of Asia’s 50 Best Bars. Bars and cocktail lovers across Asia can join live countdown of the list of Asia’s 50 Best Bars 2019. The ceremony will air through a live stream on The World’s 50 Best Bars Facebook page on Thursday 9 May from 8:45pm. Asia’s 50 Best Bars – How will Singapore bars do in 2019? So what about 2019? Here are some of our thoughts for local bars. Eyes will be on Manhattan Bar (pictured above); it took top spot in the past two years but saw bar manager Philip Bischoff leave recently. ATLAS may struggle too with the loss of head bartender Roman Foltan followed by talented local Sim Sze Wei. Likewise with Tippling Club, which saw Joe Schofield return to the UK. Last year’s high-climbing Native, even with its new menu – may not do as well this year considering it’s been relatively quiet. Jigger & Pony, which fell 21 spots last year, could reclaim lost ground with its recent move to a new space. How do you think Singapore bars will fare this year? Chime in with your comments.